” Every soul is in itself absolutely omniscient and blissful. 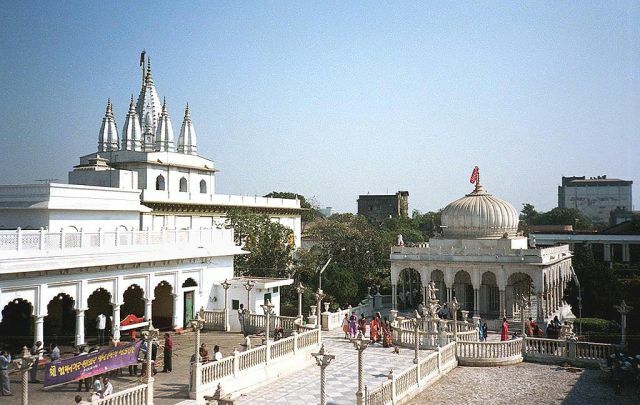 Jainism is an ancient religion known since early recorded times as an independent faith and philosophy, although it has a degree of overlap with Buddhism and Hinduism. It is also heavily based upon the teachings of the prince Mahavira (599 – 527 BC), or Lord Mahavira to Jains. According to belief, Jain philosophy is an understanding and codification of eternal universal truths which at times lapse among humanity, but later reappear through the teachings of human beings who have gained enlightenment. A key element of Jain teachings is the commitment to Non Ahimsa (Non Violence) This stems from the belief that every living thing has a soul. Therefore some Jain monks abstain from eating not just meat but also root vegetables. Jainism teaches the universe is eternal, without beginning or end. However (like Hinduism) we are trapped in a Karmic cycle of birth and death. To escape this cycle and achieve liberation “Moksha” Jainism teaches the need to avoid creating Karmic debts. One of the best ways is to practise Ahimsa and thus offer respect to all living creatures. Lord Mahavir and Jainism – Excellent collection of resources and articles about Jainism and its founder Lord Mahavir. Including a page on Jain history from 8th Century B.C to the present.